HELENA, Mont. 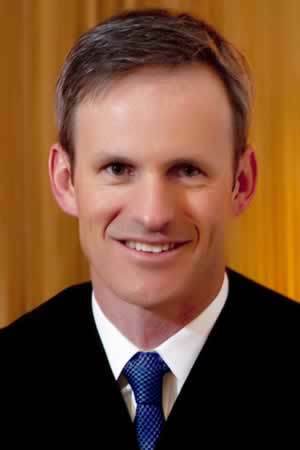 (Legal Newsline) -- Montana Supreme Court Justice Brian Morris reportedly will be recommended for a federal judgeship in Montana. A spokeswoman for U.S. Sen. Max Baucus, D-Montana, told The Montana Standard earlier this week that Morris will be recommended to the White House, along with Yellowstone County District Judge Susan Watters, for a seat on the U.S. District Court for the District of Montana. Morris was elected to the state's high court in 2004 and was reelected to the court last year. Baucus spokeswoman Kathy Weber told the Standard Monday that Morris will be recommended to replace Senior U.S. District Judge Sam Haddon, who took senior status at the end of last year. Meanwhile, Watters will be recommended for the seat held by Chief District Judge Richard Cebull, who will be taking a reduced workload starting this month, Weber said. According to the newspaper, a nomination committee recommended Watters, who was one of three finalists for the Billings seat. Morris was a candidate but not among those three initially recommended for the Great Falls seat. Both Watters and Morris' names now will be sent to the White House for review. President Barack Obama will decide whether to nominate them. If nominated, they must be confirmed by the U.S. Senate.